One of the most talented designers that Legend Lighting has had the privilege to work with is Chelsea Bandy Kloss of Chelsea+Remy Design. When first meeting Chelsea, you immediately get a feel for her warm personality and her incomparable and unique style. Chelsea has experience in new home construction, remodels, small scale commercial projects and condo developments. 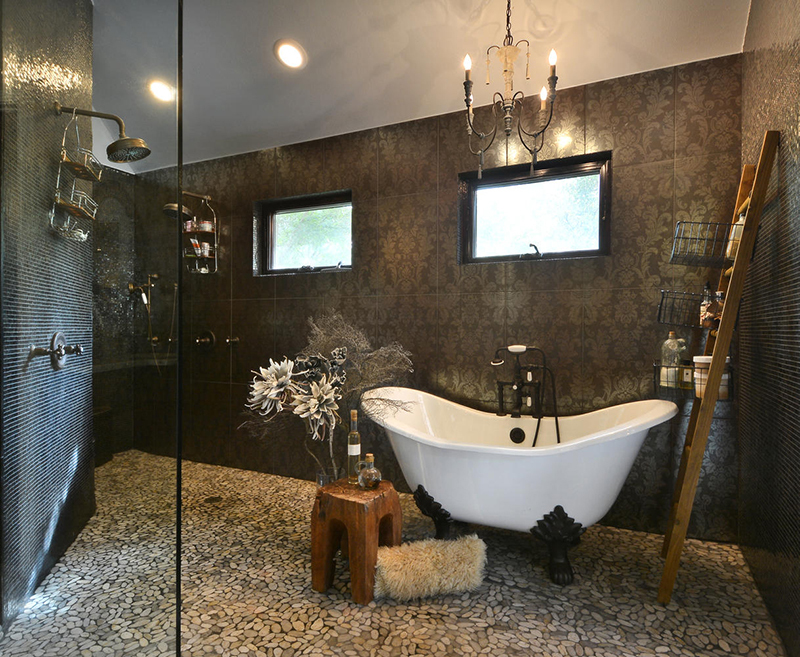 By investing in lasting relationships with builders, clients and vendors, Chelsea has earned the reputation as one of the premier designers in the Austin area. For her formal education, Chelsea attended Texas State Univeristy in San Marcos, where she graduated with Honors with a Bachelor of Science in Family and Consumer Sciences, majoring in Interior Design and minoring in technology. For three years she worked as a partner at a local design firm before starting Chelsea+Remy Design. Her passion is being involved with a project through the entire construction and furnishings process, from a mere concept to a magazine ready space. I find inspiration daily and in unexpected places, however, I specifically seek inspiration through nature and travel. I love to incorporate organic textures and materials into all genres of interior design and find that nature consistently works its way into each and every project I touch. Travel is also a very important source of inspiration in that I enjoy experiencing regional materials used in new applications. My ultimate guilty pleasure is seeking out boutique hotels for any trip and exploring the fixtures and finishes they choose to set themselves apart from the more corporate style hotels. What is the most memorable design project you have ever worked on? I was involved in an extensive remodel on Lake Travis where I was fortunate enough to work with clients who trusted my vision and allowed me the freedom to interject quirky elements into their home, such as the use of enormous reclaimed doors from India as their pantry doors. We were also able to resource local artisans for custom details like stained glass and decorative paint while interjecting the client’s collected antiques throughout. 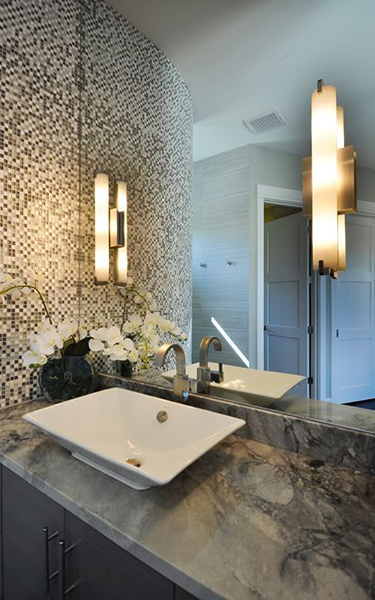 When a project requires lighting, what do you enjoy most about specifying lighting? What do you find most challenging? I feel that lighting can single handedly make or break a space, so that alone puts a little pressure on you as a designer! Over the years, lighting has become a part of the design process that truly allows you to express your own style while setting moods, defining spaces and filling volumes. I feel that the biggest challenge that people rely on their designers for in regards to lighting, is understanding scale. 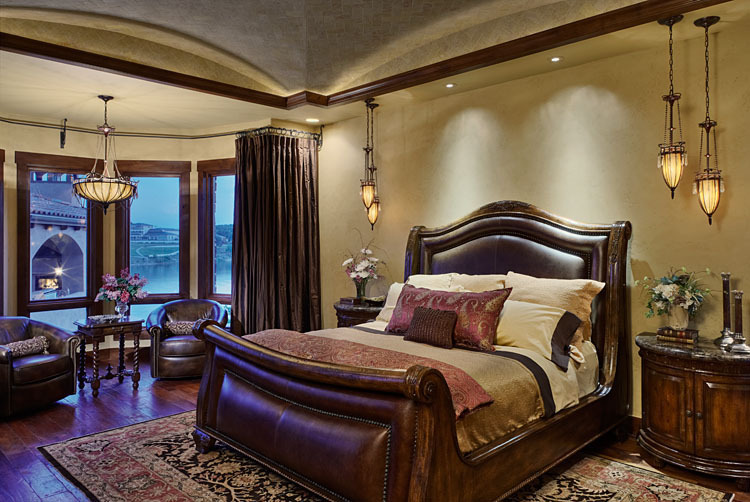 With extended ceilings and open floor plans it is imperative to use lighting to create a human scale within the home, define activities and areas within the shared plan and ultimately create functional and favorable lighting conditions. 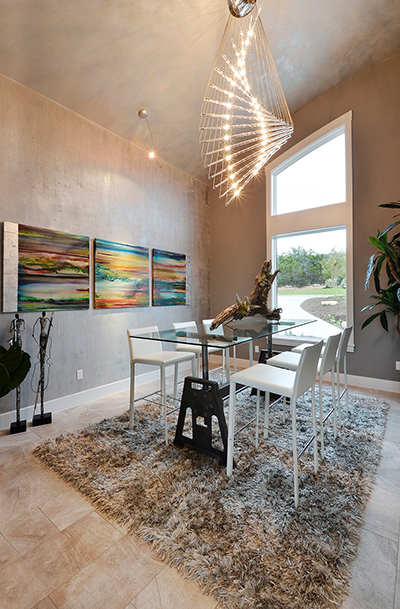 Dimmers are an absolute must and allow you to create the feeling once achieved only by table lamps. What do you find most beneficial about working with a showroom lighting designer? As designers, we try to know as much as we can about each facet of the design process, however working with a showroom lighting designer gives you the confidence that you are being exposed to all of the latest and greatest products while understanding the newest technology available to share with your clients. The combination of the specialized knowledge of the showroom lighting designer and the overall project vision by the interior designer creates a winning team. What is your favorite color palette? Currently my “go to” color palette is a combination of grey, white and walnut tones and then incorporating accent colors such as canary yellow or lime green to get a fabulous finished look. 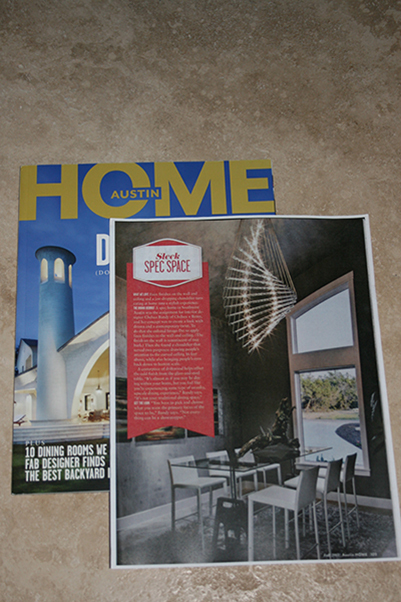 Legend Lighting worked with Chelsea on a home built by Pillar Custom Homes and the dining room was featured in Austin Home Magazine, as shown below. 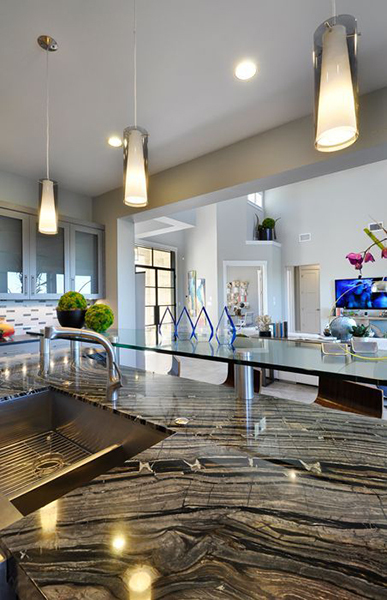 Chelsea+Remy Design has won numerous design awards and has been published in many additional publications, such as, Urban Home Magazine, Design Guide-Austin/San Antonio and Luxe Magazine, among others. Chelsea+Remy Design won the award at Legend Lighting’s Red Carpet Crystal Event for Best Interior Lighting. Chelsea+Remy Design also won the award for Brightest Luminary at Legend Lighting’s Red Carpet Crystal Event. Contact Chelsea through her website at http://www.chelsearemy.com.